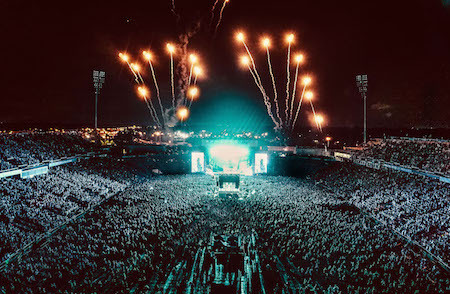 The World's Loudest Month—created by AEG Presents and Danny Wimmer Presents—continues to grow its U.S. festival series featuring the biggest names in rock music performing in eight distinct U.S. concert atmospheres during six consecutive weekends from late April through early June. In 2017, overall attendance surpassed a half million for the World's Loudest Month festivals. Monster Energy Welcome To Rockville and Monster Energy Fort Rock launched the 2017 edition of the World's Loudest Month with a Florida takeover. 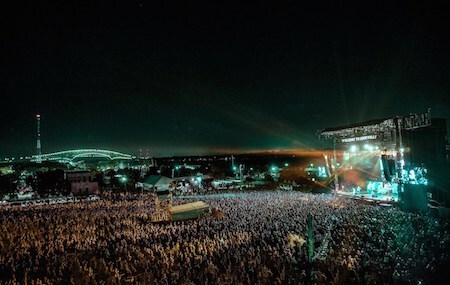 The record breaking weekend saw over 75,000 music fans converge on Metropolitan Park in Jacksonville and JetBlue Park in Fort Myers on April 29 & 30 for the pair of Florida festivals. At the 7th annual Monster Energy Welcome To Rockville fans enjoyed two days of performances from more than 40 bands on three stages, led by Soundgarden, Def Leppard, and A Perfect Circle. Fans were able to satisfy more than just their hunger for rock, as the festival featured a killer lineup of local culinary genius, the debut of the Eat. Rock. Repeat. area offering favorite comfort foods with gourmet ingredients, and, for fans over 21, the Caduceus Cellars & Merkin Vineyards Wine Garden and various local craft beers. Monster Energy Welcome To Rockville bands engaged with their fans at The Music Experience, Monster Energy Experience, and FYE Fan Experience. Attendees also enjoyed onsite experiences including the Jack Daniel's Experience, Jacksonville Jaguars Rock 'N' Jock, and more. The fifth annual Monster Energy Fort Rock, South Florida's Biggest Rock Festival, was led by Def Leppard, Soundgarden, and A Perfect Circle, and featured performances from over 25 bands on two stages, including The Offspring, Mastodon, Chevelle, Seether, Papa Roach, Three Days Grace, Alter Bridge, and more. The 7th annual Monster Energy Carolina Rebellion topped 105,000 in attendance, with Soundgarden, Def Leppard and Avenged Sevenfold leading the lineup of more than 60 bands on four stages for the Mid-Atlantic's biggest rock festival, May 5, 6 & 7 at Rock City Campgrounds at Charlotte Motor Speedway in Concord, NC. In addition to music, Monster Energy Carolina Rebellion featured some of the best food that the Carolinas have to offer — including four styles of BBQ and a smorgasbord of savory eats and sweets ranging from custom pie cups and doughnuts to bacon flights and wood fired pizza — at the Pig Out Village. Fans enjoyed artist signings, meet and greets, exclusive acoustic performances, and more at onsite experiences including the Monster Energy Experience, the Jack Daniel's Experience, The Music Experience, FYE Fan Experience, Zippo Encore and more. The third annual Northern Invasion—May 13 & 14 at Somerset Amphitheatre in Somerset, WI—featured Soundgarden, Kid Rock, Godsmack, The Offspring, Bush, Papa Roach, Alter Bridge, The Pretty Reckless, Amon Amarth, Opeth and more. 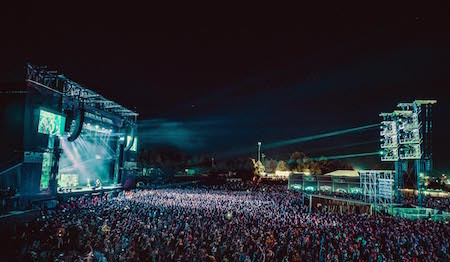 Northern Invasion hosts the biggest rock bands for over twelve hours each day on three stages, and offers a top tier campground experience. Northern Invasion Good Eats included food offerings from top regional and national restaurants and vendors. 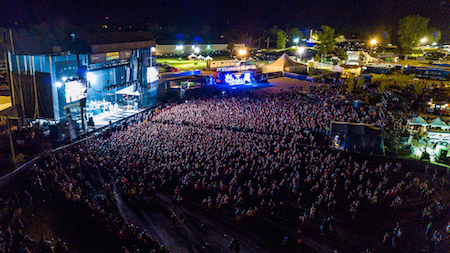 The 11th annual Rock On The Range was the festival's biggest year yet, with a sellout crowd of 135,000 in attendance at MAPFRE Stadium in Columbus, OH May 19, 20 & 21. Though the weekend began with news of the unexpected tragedy of Chris Cornell's passing, in the end the music and performances shined through. Throughout the weekend, several bands paid their respects to the late Chris Cornell, who had been scheduled to headline the festival's opening night with Soundgarden. Making their Rock On The Range debut, Metallica brought the weekend to a close with a blistering two hour set that spanned their 36-year career. America's largest and most acclaimed rock festival featured nearly 60 bands on three stages, led by headliners Korn and Metallica, along with The Offspring, Volbeat, Primus, Bush, Live, Chevelle, Papa Roach, Seether, Coheed and Cambria, Alter Bridge, The Pretty Reckless, Taking Back Sunday, Of Mice & Men and many more. The Rolling Rock Comedy Tent featured sets from nationally known comedians such as Jim Breuer, Nikki Glaser, Tony Hinchcliffe and more, plus Columbus' top comedy talent. Throughout the weekend, fans enjoyed artist signings, meet and greets, exclusive acoustic performances, and more at onsite experiences including the Monster Energy Experience, the Jack Daniel's Experience, The Music Experience, FYE Fan Experience, Zippo Encore and others, along with a variety of Eat Local! and national food vendors at four separate food courts. 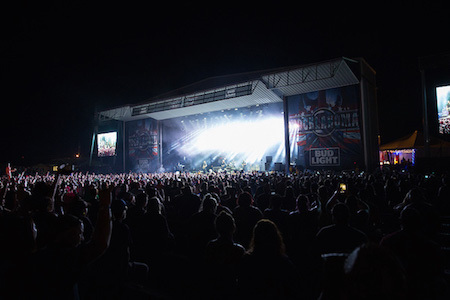 The 11th annual Rocklahoma, presented by Bud Light, featured the best current rock artists and classic bands, led by Def Leppard and The Offspring, plus dozens more on three stages, as well as a campground stage with music all night long. An estimated 25,000 people were in attendance each day for America's Biggest Memorial Day Weekend Party at "Catch The Fever" Festival Grounds in Pryor, OK on May 26, 27 & 28. The music lineup for the three-day camping festival also included Seether, Three Days Grace, The Cult, Skillet, Ratt (featuring Stephen Pearcy, Warren DeMartini, Juan Croucier and Carlos Cavazo), Jackyl, The Pretty Reckless, Pierce The Veil, Taking Back Sunday, Nothing More, and many others. 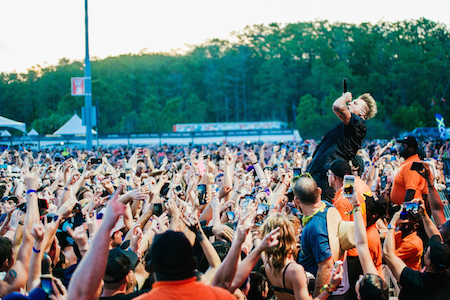 Over 25,000 fans were on hand for the fifth annual Bud Light River City Rockfest on May 27, which featured performances from Def Leppard, Godsmack, The Offspring, Papa Roach, Three Days Grace, The Pretty Reckless, Taking Back Sunday and more. The growth of the Bud Light River City Rockfest at the AT&T Center continues to prove that San Antonio is a rock destination for artists and fans alike. 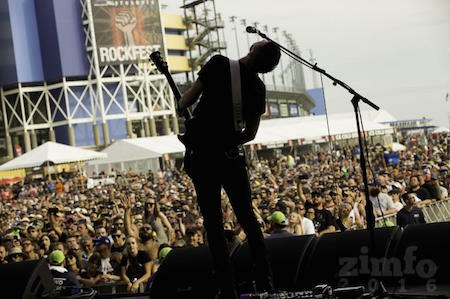 Rockfest—a Kansas City tradition—had over 40,000 in attendance this year for America's largest one-day music festival. 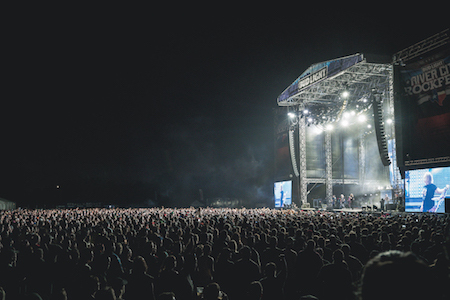 June 3, 2017 marked the 25th year of Rockfest, known as THE rock & roll event of the Midwest, with three stages and 12 hours of hard-hitting music at the festival's new home at Kansas Speedway in Kansas City, MO. Rockfest 2017 bands covered the rock spectrum, including Godsmack, Sammy Hagar & The Circle, Volbeat, Halestorm, RATT (featuring Stephen Pearcy, Warren DeMartini, Juan Crocuier & Carlos Cavazo), Collective Soul, Buckcherry, P.O.D., Zakk Sabbath, Cinderella's Tom Keifer, Blackberry Smoke and more. 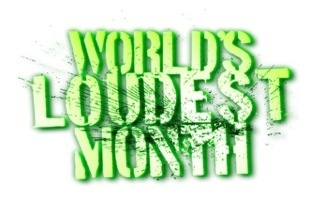 The World's Loudest Month is proudly sponsored by Monster Energy.